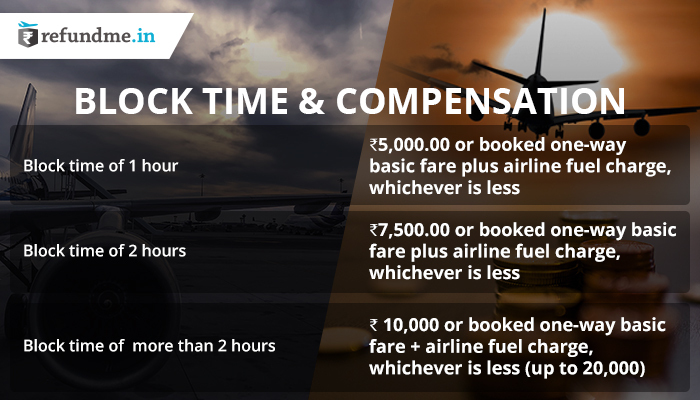 Do You Know The Difference Between Flight Ticket Refund and Flight Compensation? The two terms “refund” and “compensation” can create a perplex in the mind of any individual. But most of the air passengers are still unaware of their passenger rights and does not know that a refund and a compensation for cancelled/denied boarding are two separate terms and needs to be demanded separately. Let’s read the basic difference between the two and know how and when you can claim it whenever airport authority informs that “ your flight has been cancelled now or has been overbooked”. 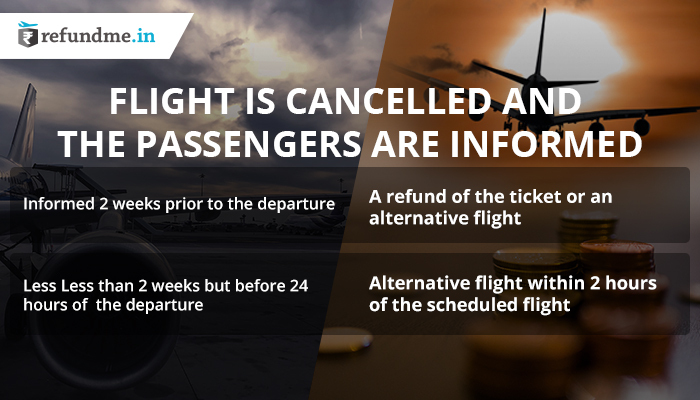 Refund – It is an amount that you have paid for your air ticket. It is nothing but the full amount you bore out from your pocket to buy that travel ticket for your preferred destination in India. Whereas, Flight Compensation is an additional amount that you are obliged to get in cases where you had to go through the turmoil of waiting, expecting and what else. It is the airline’s responsibility to help you not meet with any discomfort during the travel. 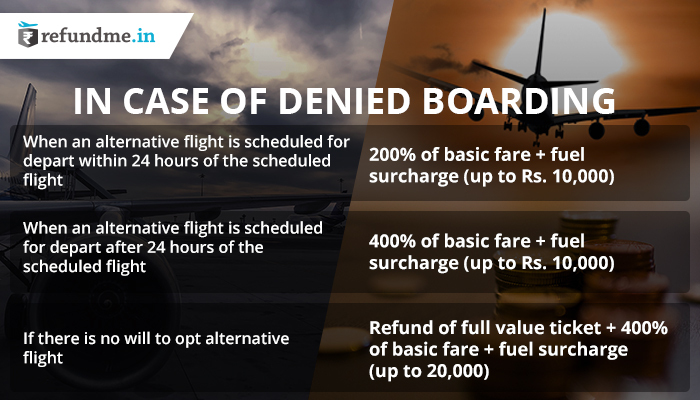 Now when you know the difference, as per air passenger rights, it is your right to claim both refund and compensation separately whenever the cases of overbooked, cancellation or denied boarding appears. What amount to exactly claim? In case the passengers do not seek any flight cancellation details: the passengers will get the following amount. Note – It is a total amount of time, a flight takes from the departure gate to arriving at the destination gate. The situation can arise to anyone, it is better to stay ahead in time and get compensated for the loses early. With refundme.in get the flight compensation and escape out from the burden of dealing with the procedure of retrieving the air ticket refund or flight compensation back. How to file a claim for airline compensation?